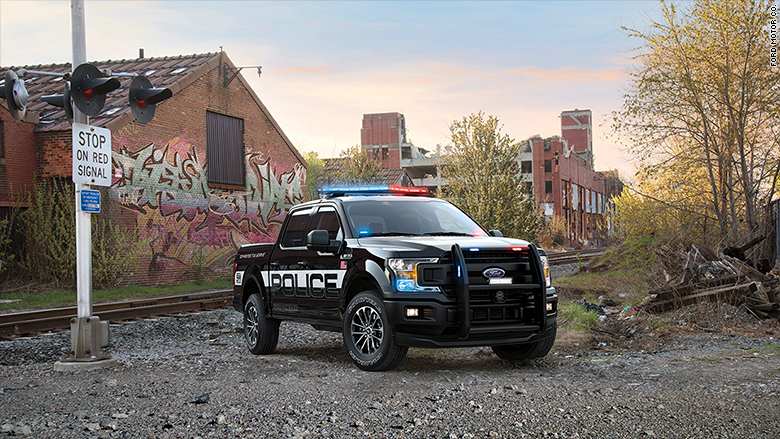 Ford has revealed the first pickup truck specially designed for police use. 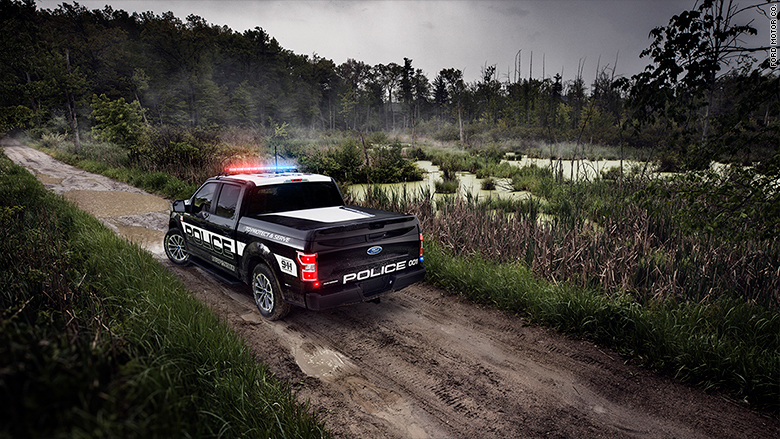 The Ford F-150 Police Responder is based on Ford's FX4 off-road truck, but with a few additional features. While most police vehicles are intended for use on roads and highways, the four-wheel-drive Police Responder pick-up is prepared to chase bad guys through deserts and forest trails. And with its 375-horsepower turbocharged V6 engine, "police-calibrated" brakes and upgraded front stabilizer bar, it's also pursuit-rated up to 100 miles an hour on the street. Pursuit-rated basically means the truck can maintain the speed for a long period of time. 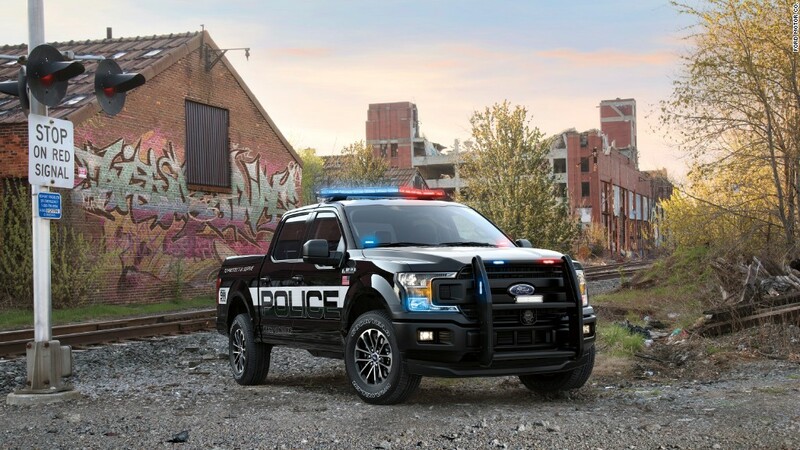 The F-150 Police Responder "can comfortably seat five, while providing capability in off-road patrol situations for officers in rural environments like sheriff's departments, border patrol operations and Department of Natural Resources use," said Stephen Tyler, Ford police brand marketing manager. Inside, the gear selector is mounted on the steering column rather than between the seats to make room for computers and other equipment. The front seats have plates in the back to protect officers from being stabbed with a knife or sharp object by rear-seat occupants. The back seats and floor are covered in heavy-duty vinyl so that nasty messes can be cleaned up easily. The Responder also has underbody skidplates to protect mechanical components from being damaged in off-road situations. 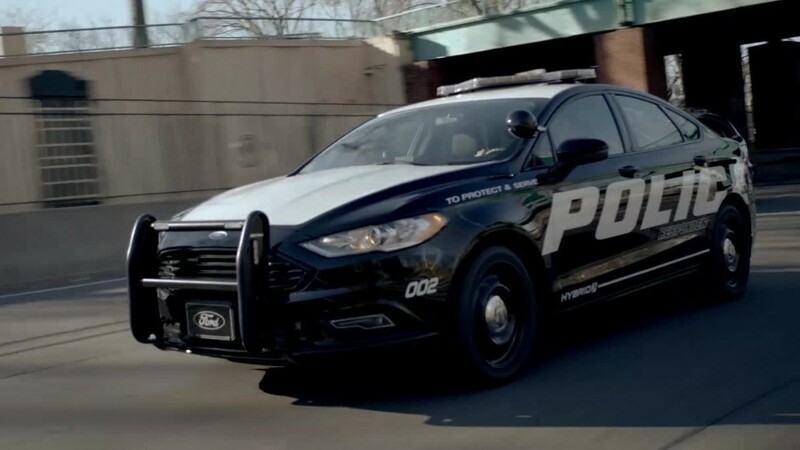 Ford (F) already sells versions of both the Taurus Sedan and the Explorer SUV for police use, and recently unveiled the first pursuit-rated hybrid police car, the Police Responder Hybrid Sedan, a version of the Ford Fusion Hybrid. Ford also sells a Prisoner Transport Vehicle, a specialized version of the Ford Transit van modified to shuttle inmates. Recently, some police departments have pulled Ford Explorer-based police vehicles from service because of concerns over carbon monoxide leaks. Ford says it has not found any issues related to the design of the Explorer, a vehicle that is largely unrelated to the F-150.